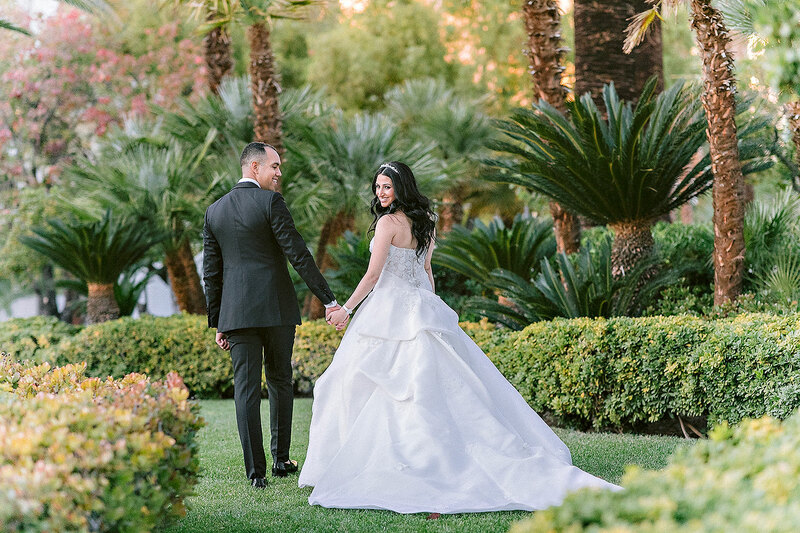 Las Vegas never looked better with this spectacular wedding at the Four Seasons Las Vegas. A Kate Carlson Event designed a one-of-a-kind event for this weekend in the desert. 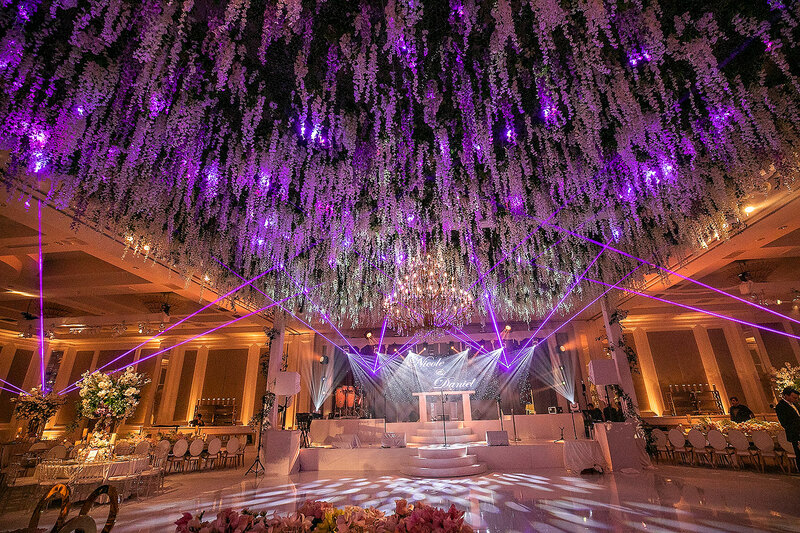 Beaming lights, overflowing flowers, and incredible teamwork created this wedding you definitely want to check out. 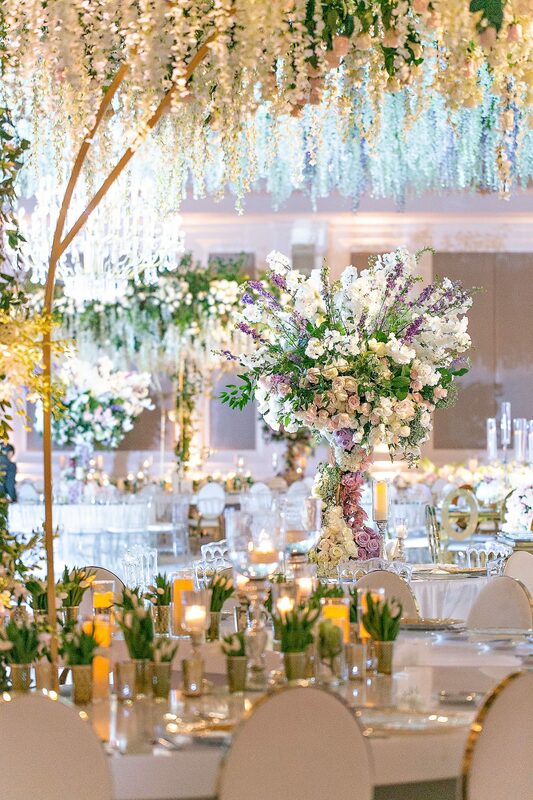 The couple started off their ceremony strong with a floral theme that took over the entire room. 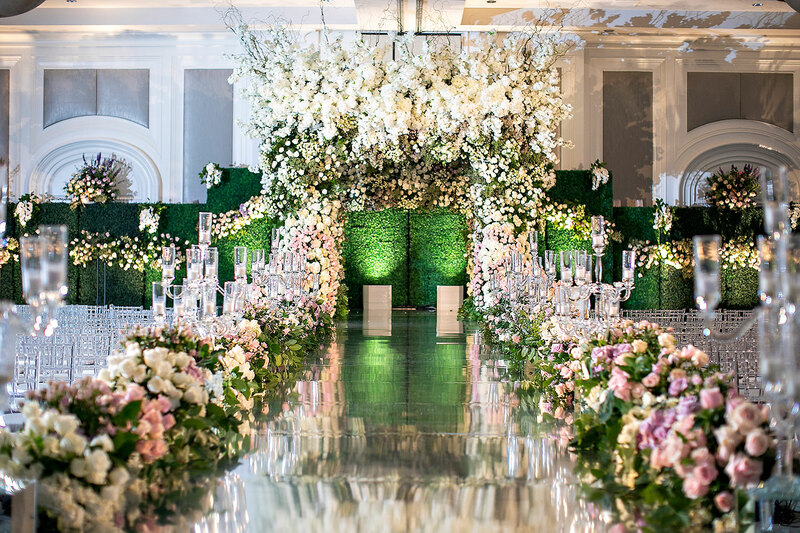 Catching your eye, front and center, was the large, floral chuppah with a white, blooming frame and a white and blush mixture grazing down the green botanicals of the structure. 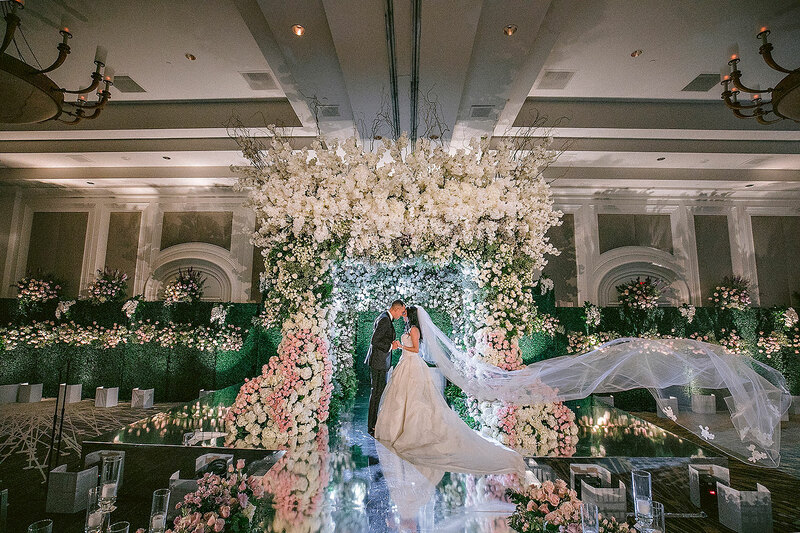 The floral frame of the chuppah made its way down the mirror stage to create the aisle of your dreams. 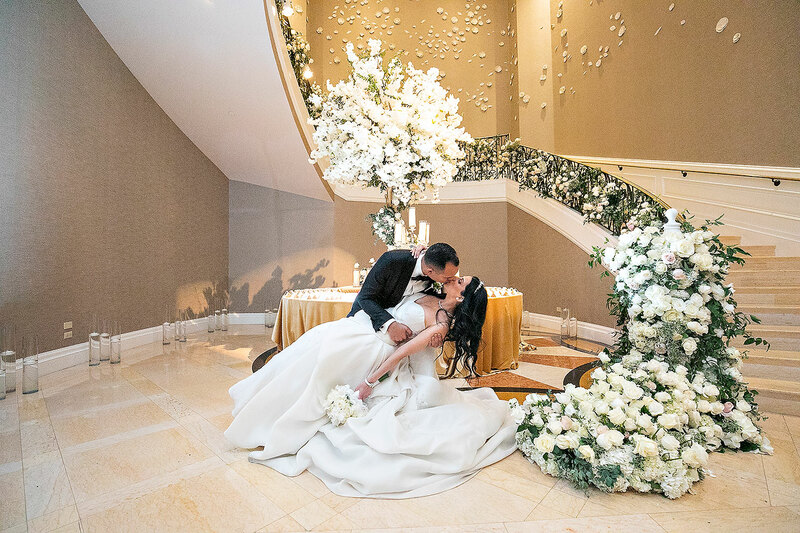 The front wall was lined with foraged palisades, also holding white and blushing arrangements. 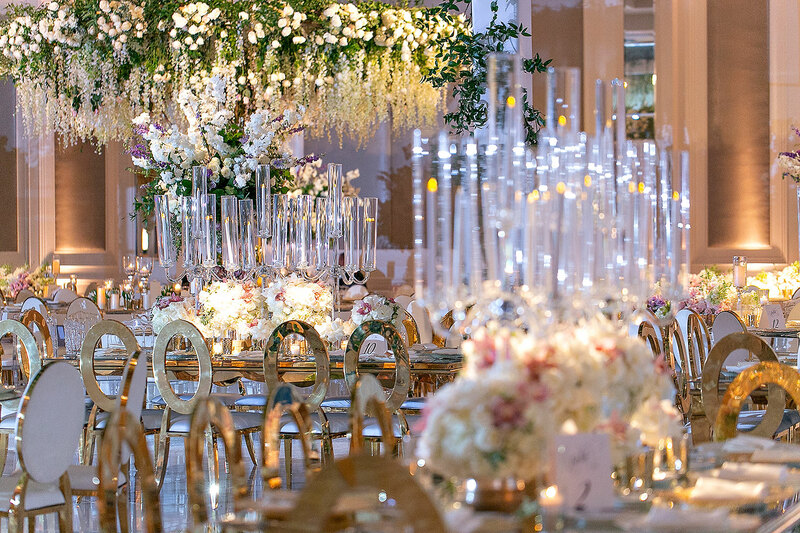 The reception decor took their design to an all new level with even grander arrangements and beaming lights. 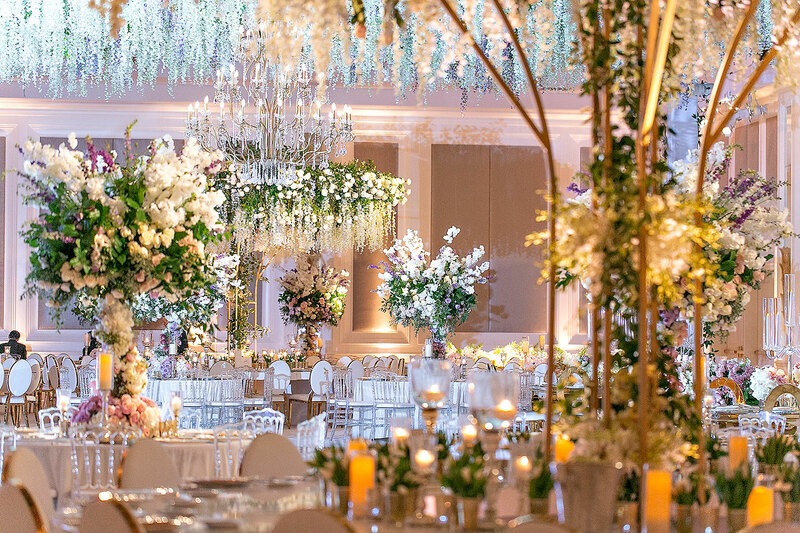 The room faced a two-tier stage with hanging luscious greens pointing down to the dancefloor. 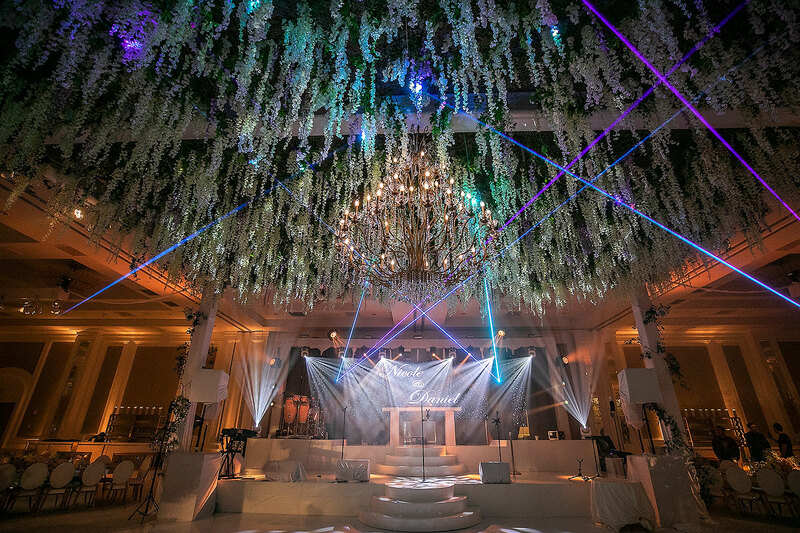 Lights were also hung between the hanging arrangements coordinating with the changing colors from the beaming lights. 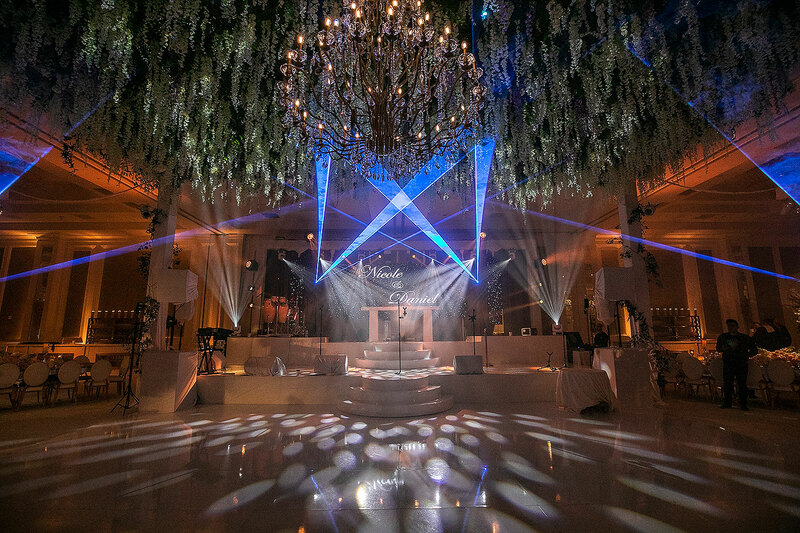 The beaming lights were worked into the sides of the wedding pointing toward the dancefloor to give an extra effect from every angle. Scroll below for photos from this incredible event, captured by Jessica Claire Photography.